We are changing the way that people think about homes in Boiling Springs! If you are looking for low maintenance living at an affordable price Clairmont Estates is the place to be! Located just minutes from I-26 and I-85. Just off Hwy 176 in Historic Boiling Springs. 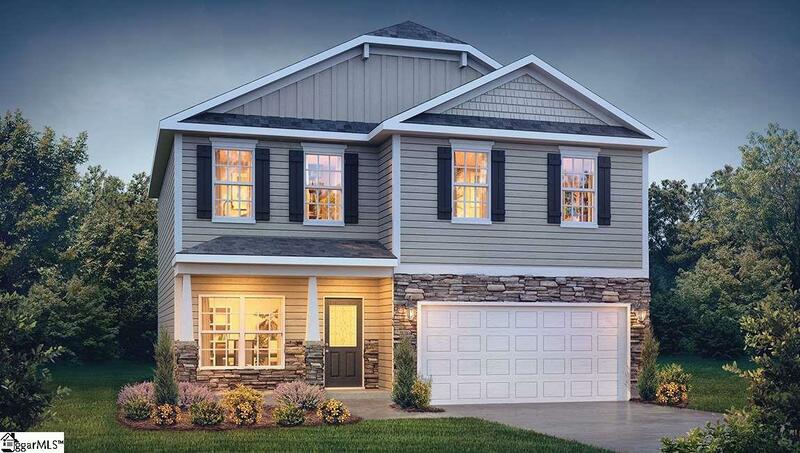 The Concord is a spacious and open 4 bd/2.5 bath floor plan and is highly functional, and offers: Large Lot, wide interior doorways, and a patio on the back. The kitchen features lots of cabinets and ample counter space for the chef of the family! The Large family room features a Fireplace. Large Owner's suite features spacious walk-in closet and owners bath with separate tub and shower. Highly Sought after Award Winning Spartanburg County District 2 schools! This is an incredible value with all the benefit of new construction and a 10 yr. Home Warranty! Why pay rent when you can own! Plus Closing Costs and Pre-paids Paid (Call listing Agent for details/preferred lender)! Move-in package includes side-by-side refrigerator, blinds throughout, and garage door opener. Call Listing Agent to schedule a showing today! ** Just minutes to interstate and BMW. This community offers USDA (100% Financing) home loans. Decorated Model Home located at 260 Old John Dodd Rd. CALL for more information Lot 46 Concord C plan.